The debate over devolution had been taking place throughout the 20th century. In October 1944 a “Welsh Day” debate was held in the House of Commons to discuss matters that solely concerned Wales, as “a nation with a living language of its own…and its own culture”. One member of the House who took part in that debate was Aneurin Bevan. As one of the most distinguished Welsh politicians of all time, much attention has been given to his contribution. The crux of his argument was that there were no problems exclusive to Wales, exemplified by his phrase “I do not know the difference between a Welsh sheep, a Westmorland sheep and a Scottish sheep”. He referred to the issue of agriculture which was being discussed. 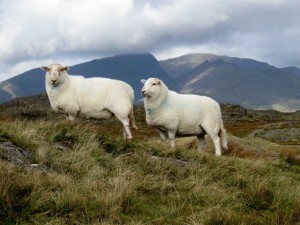 He acknowledged that there was a problem in Wales of farming sheep on Welsh mountains, but he protested that debating the issue in Parliament on a special Welsh Day would be futile because sheep were also being farmed elsewhere. A problem for Wales was a problem for the rest of the UK. Those words have often come to define Bevan’s attitude to Wales. Power was central to Bevan’s political thought – he believed that the working class needed to capture power through the state in order to solve the problems of society. His attitude stemmed from a belief that a democratic socialist state had the power to control the economic levers in society and bring equality throughout Britain. This would therefore rid Parliament of the need to debate issues specific to each nation’s industry. Problems arising from agriculture could be debated in an agricultural debate, there was no need to carve out space specifically to debate Welsh agriculture. However, there is a lot more that we can take from Bevan’s contribution to this debate beyond that one phrase. Often, a simple phrase such as this can overshadow a more nuanced argument that the person is trying to make. Bevan actually stated that he believed that “there may be an argument – I think there is an argument – for considerable devolution of government”  and “we should discuss Welsh problems in Wales”. He asserted that “Wales has a special place, a special individuality, a special culture and special claims”. He recognised distinct differences between Wales and the rest of the UK and the need to discuss these differences. Despite recognising Wales’ individuality, Bevan argued that “as a means of directing public attention upon particularly Welsh problems”, a Welsh Day was “a farce” – these discussions should not take place in Parliament. There had been debates throughout the day on problems affecting industry in Wales, particularly steel and coal. Bevan thought a Welsh Day to discuss these problems was not the correct way to go about solving the difficulties in Welsh industry: “It is a great mistake…for us to try to persuade our people that any great merit is to be obtained in this way”. He was very interested in the iron and steel industry – but his interest was towards the iron and steel industry of the UK, not specifically Wales. “There would have been more members present” to discuss the mining problems of South Wales if it was not being debated on a special Welsh Day. A solution to the Welsh mining problem was a solution to problems in the industry throughout the UK. If it was Bevan’s belief that it was through the state that the ills of society could be cured, then there was an argument that Parliament could be used as a force in order to change economic conditions in Wales, so Welsh issues should be discussed. By focusing specifically on the wider problems of Britain, then Welsh-specific issues may be neglected. Bevan continues to be seen as a Welsh hero, but his attitudes towards Wales and devolution are ambivalent at best and are not entirely coherent throughout his career. His contribution to the Welsh Day debate does reveal some of the nuances of his views on Welsh specific issues which go beyond his ‘sheep’ phrase. Economically and across industries, Welsh problems could be discussed in the broader context of the UK. Beyond economic and industrial issues he admitted that there was an argument for some sort of devolution of Government to Wales, acknowledging Wales’ unique and individual character. What that form of devolution would look like to Bevan, is difficult to discern from just this one debate. Bevan’s conception of political power and how Wales fits into it require further exploration and this will be carried out in future posts in this series.